With a landscape as breath-taking as South Africa’s, it would be a shame not to explore every inch of it – including the very tops of the tallest trees. That’s why canopy tours and high ropes courses are such unique adventures; they offer perspectives on places we know and love that are completely new, and show us just what this wonderful country has to offer. From zip-lining near active diamond mines to high ropes trails in our beautiful national parks, there’s a wide variety of vertically challenging action-packed days out to choose from, suitable for a range of ages and abilities. We want to bring the joy and excitement of a canopy adventure to the masses, so we’ve put together this article to outline the best experiences available that cover an array of locations and budgets. Whether you’re looking for a purse-friendly activity for the kids or a full day excursion that tests your mental and physical ability, we’ve got you covered. 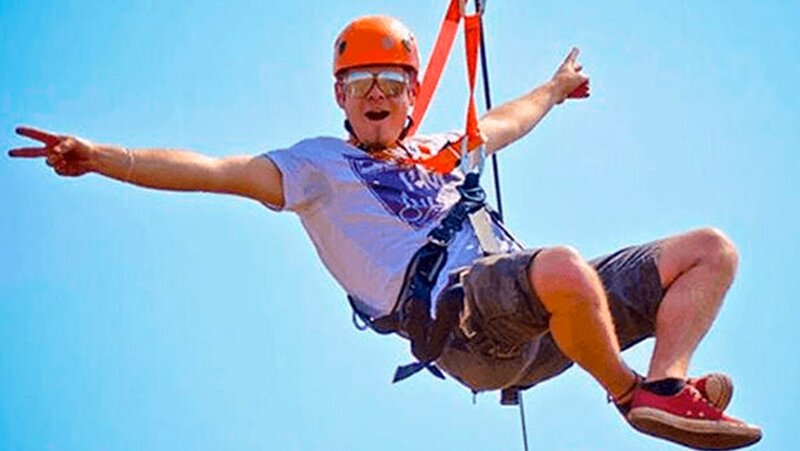 To see the Canopy Tours and High Ropes experience gift vouchers we already advertise, check out our category page here - and as always, please use the comments section below if you want to ask any questions or add to our list. Now let’s get monkeying around! If you’re a regular follower of our listicles you’ll know that we often start with a brief history of the subject in question, but that’s fairly easy when the topics are cars, aeroplanes, spas or winemaking. 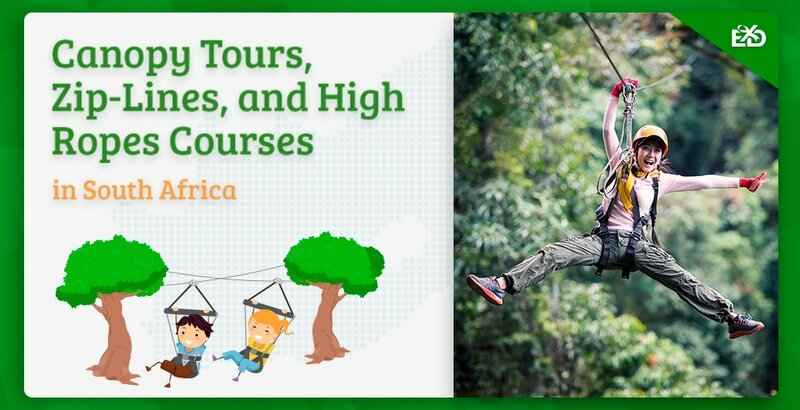 When it comes to canopy tours, ziplines, and high ropes courses, the history is sporadic and vague. Do we mention the elusive Korowai tribe that lives in trees to avoid the dangers of the forest floor? Or perhaps the ancient Greeks who used tree-top obstacle courses to test the strength of their warriors? There are many ways in which people have made use of natural woodland to serve a purpose, and the tourism industry is no exception. 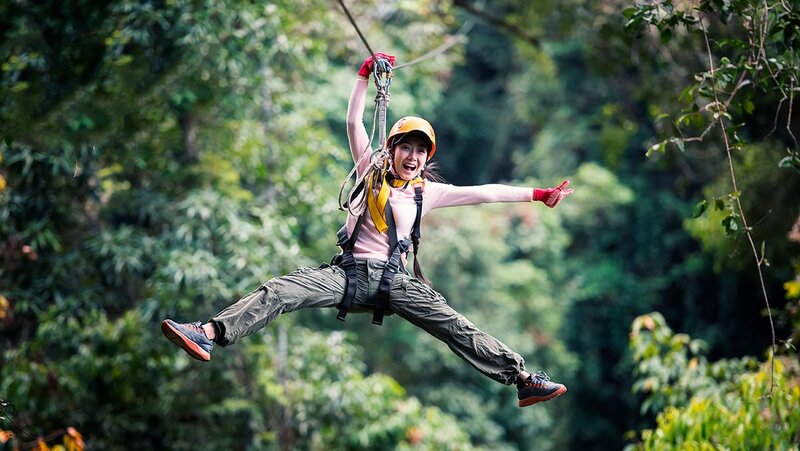 The history of zip-lining is slightly more specific, as many cultures used the method to transport food, tools, and even people between locations that were obstructed by a river or valley. Over time the ropes and wires got stronger, and as safety regulations improved so did the number of people willing to partake in the activity increase. This lead to a boost in ‘eco-tourism’, which flourished in Costa Rica in the 70s before spreading to other parts of the world. 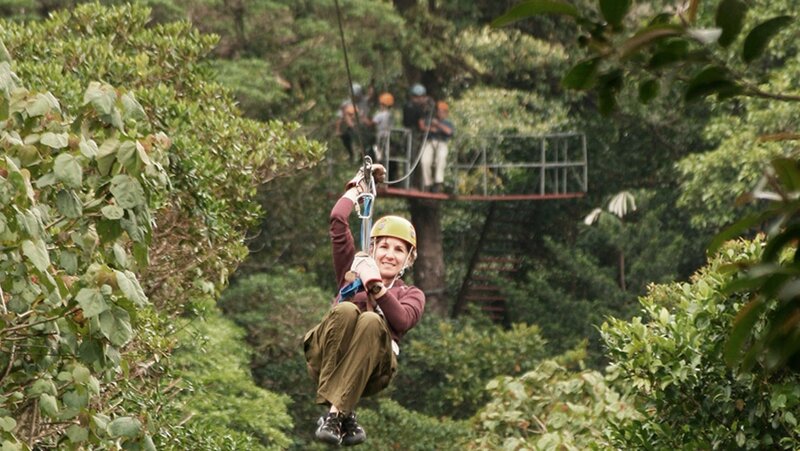 Zip-lines provide fun and exciting means of reaching uninhabited forests, witnessing indigenous animals in their natural environment and learning from expert tour guides about the surrounding eco-system. An experience that’s thrilling and educational? Count us in! High ropes courses are often used for team-building activities, as they involve large groups of people and instructors will encourage participants to cheer each other on, boosting everyone’s morale and sense of accomplishment. High ropes also involve more physical skill than zip-line tours, so this may factor in when you’re deciding the kind of adventure day you want. If it’s all a bit confusing then fear not, in the next section we summarise the best sky-high experiences in the country, doing all the hard work so you don’t have to! (Except for the actual tree-top experience, that’s all down to you). Read on for more inspiration! Canopy Tours, Ziplines, and High Ropes Courses come in all shapes and sizes, so we’ve picked our favourites and tried to get a good range across the country. If you know of more that you think we should have included, please let us know using the comments form at the end of the article. Tsitsikamma National Park is one of the most scenic parts of the Garden Route, with a rugged landscape that’s abundant in wildlife, ancient trees, and beautiful indigenous flowers. 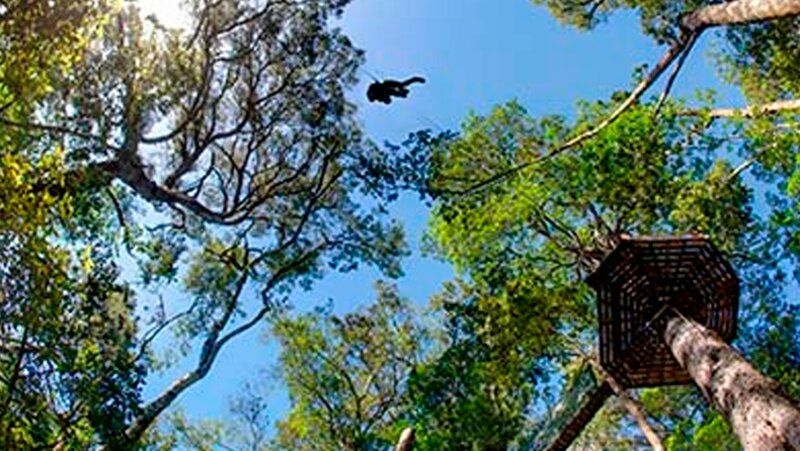 Stormsriver Adventures have curated a three-hour canopy tour that showcases the best of the region, taking guests on a tree-top adventure 30 metres above ground through the Outeniqua Yellowwoods. Professional instructors will provide safety demonstrations and entertaining commentary throughout the tour, ensuring all participants zip, glide, and climb across the ten platforms with smiles on their faces. There’s ample opportunity to spot rare birds like the Knysna Loerie or Narina Trogon, and even Velvet Monkeys if you’re lucky! Better still, a ticket for the Tsitsikamma Canopy Tour includes a contribution to the forest regeneration project, so you’re helping to save the park whilst learning about its fascinating history and ecology – and having the time of your life zipping through the trees! 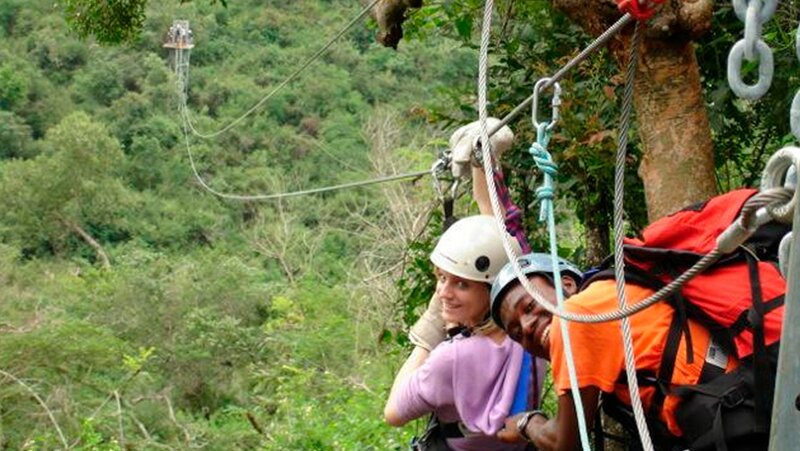 Find gift certificates for the Garden Route Tsitsikamma Canopy Tour online here. 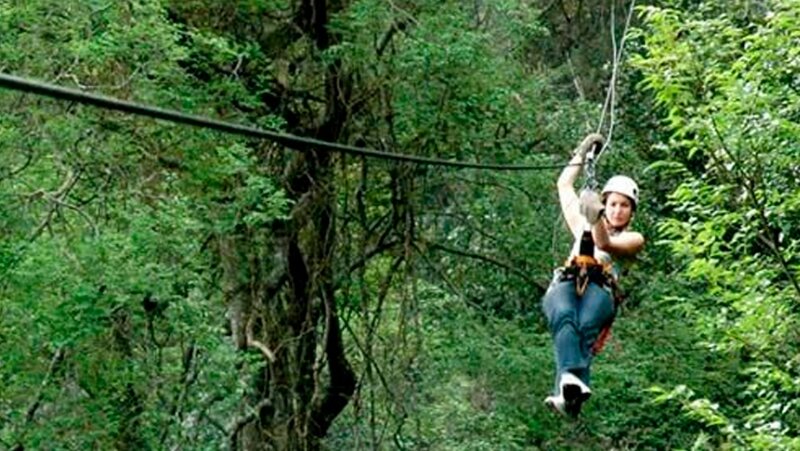 From Eastern Cape to Western Cape, we bring you Cape Canopy Tour in Elgin. This adventure is definitely one for the thrill-seekers; over four hours of zip-lining across thirteen platforms, traversing slides up to 320 metres, plus a suspension bridge above a double waterfall! Leaving tree-tops behind for a moment, this experience takes place in the Hottentots Holland mountain range, surrounded by the incredible fynbos and plant life that calls the Cape Nature Reserve home. Expert guides are knowledgeable in both local ecology and adrenaline-packed adventure, so you’re guaranteed a safe and exciting experience high above the valleys and rivers. Once the zip-lines are over, your group will hike around 1km across the beautiful landscape back to the 4x4 vehicle which will take you to the Sunbird Café, where a hot homemade pie lunch will be waiting for you. We can’t think of a better way to finish a day of outdoor action! Purchase gift vouchers for the Cape Canopy Tour in Elgin on the website here. We promised you a diamond mine zip-line experience, and here it is. 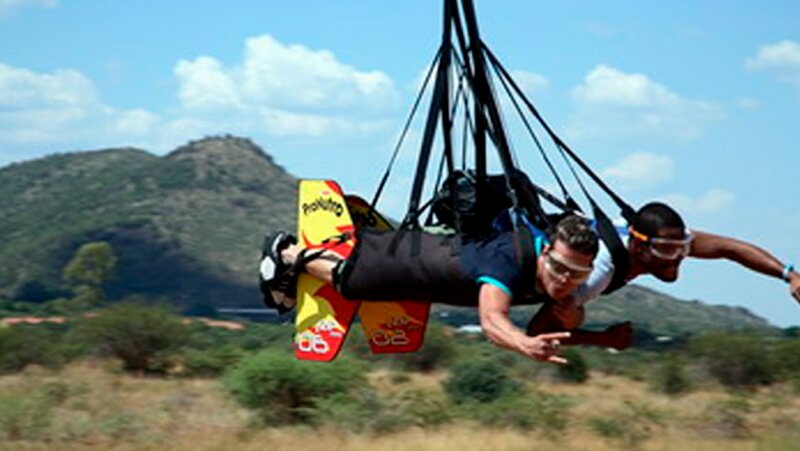 Located less than a kilometre from the Premier Mine is Adventure Zone Cullinan, an activity company offering quad biking, archery, abseiling, and of course zip-lining just outside Pretoria. The Gauteng landscape isn’t known for its lush forests or national parks, but Adventure Zone Cullinan makes it work by using the Muningi Gorge as a base for its zip-line extravaganza. 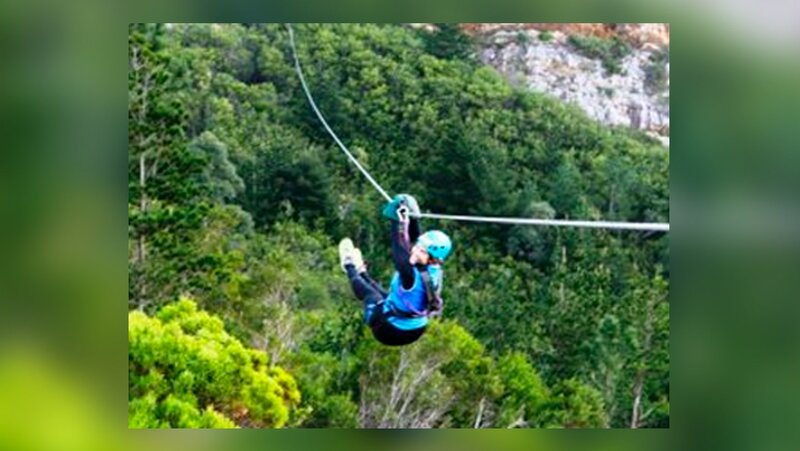 With four slides ranging from 265m to 570m at 75m above the ground, this experience boasts some of the lengthiest zip-lines in the country, and a longstanding safety record to go with it. Why do we vote this activity best for kids? Because there’s no minimum age restriction! Anyone over 40kg and under 120kg in weight can take part, making this activity ideal for school holidays or family days out in Gauteng. There’s also a deck serving food and drink at the venue, so even those not taking part in the zip-line adventure can enjoy themselves while they wait. Experience gift vouchers can be purchased online here. Back in Western Cape, SA Forest Adventures brings you a tranquil tree-top zip-line experience in the grounds of the Caledon Hotel & Spa. For only R400 per person you can enjoy a sky-high adventure of twelve slides over a total distance of 1.2km, with zip-lines ranging in length from 60m to 200m! The Caledon forest is abundant in wildlife and a variety of trees and flowers, so you’ll be fully immersed in nature as you zoom between platforms – but don’t worry if you’re a bit nervous, the belay system is fitted with a speed control break, so you can slow down if you need to. There are huge ancient oak trees to marvel at, and a serene babbling stream below to add another level of tranquillity to the experience. With anyone under 120kg in weight able to take part, this experience is great for kids, first-timers, and those who want a relaxing but unique tour through the forest without going into adrenaline overdrive. Check availability and book online at the SA Forest Adventures website. From the calming forests of Caledon to the exuberant energy of Sun City, we present to you the most thrilling zip-line experience in all of South Africa – and maybe even the world. Located just outside Pretoria at the Sun City resort, Zip 2000 is a 2km high-speed zip-wire starting at 2m above ground and reaching heights of 280m, and speeds of 160km/h – the fastest zip-line on the planet! Participants are harnessed in horizontally so you zoom over the valley head-first, the closest sensation to real flying you can possibly imagine. In just over 60 seconds the ride is over, but this is guaranteed to be an experience you’ll remember for a lifetime, and for only R640 there’s really no excuse! Zip 2000’s safety record is impeccable, and they’ve even had celebrities come along to have a go. If Adam Sandler and Drew Barrymore can do it, so can you. Plus, being located at the Sun City resort means you can make a whole vacation out of it! Rides are by booking only. We’ve been giving zip-lines a lot of attention, so let’s not forget about the mighty high ropes course. Our top pick is Chimp & Zee Rope Adventure at uShaka Marine World in Durban, and with a name as cute as that, you know it’s going to be a good one. The adventure park includes 34 obstacles, two levels of elevation, climbing nets, and zip-lines over the Rocky Reef, Turtle Enclosure, and Snorkel Lagoon – all for only R170 for anyone over 1.2m tall. The Chimp & Zee Rope Adventure Park makes a fantastic family day out that won’t break the bank, and can be combined with a range of other activities for a truly memorable time together. It’s also a great way of getting kids to exercise without knowing it – a win-win! Did we also mention the park has the longest non-stop belay system in all of Africa? Well it does, so you’re safe in the knowledge that your kids are secure and free to play. Buy tickets for the Chimp & Zee Rope Adventure Park here. Situated in Hazyview is Mpumalanga’s longest canopy tour, and South Africa’s first ever continuous belay line high ropes course. 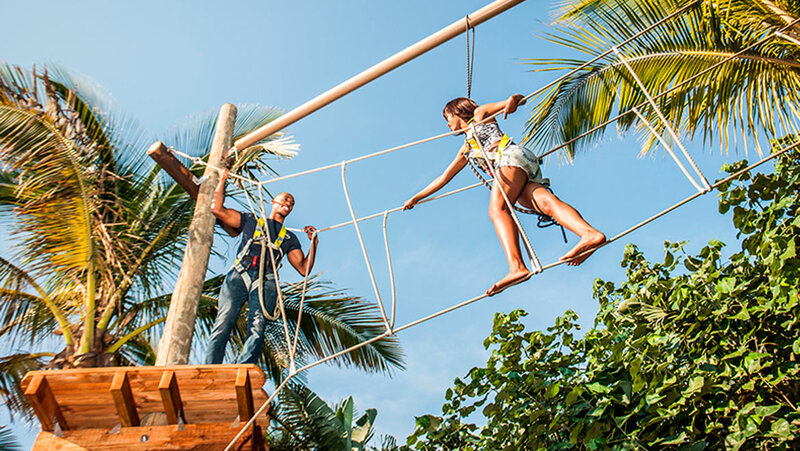 When it comes to fun for the whole family, Skyway Trails wrote the book; only R180 for adults and R160 for kids gets you into the Tree Top Adventure, a one hour high ropes experience covering 19 obstacles including rope bridges and climbing nets. For the more adventurous, there’s the Aerial Cable Trail at only R495 for anyone over 3 years old. The zip-line tour covers 1.2km over 2.5 hours, zooming across 8 slides that traverse rivers, forests and valleys in the heart of Mpumalanga. No previous experience is necessary as the expert instructors are on hand at all times to ensure guests are safe and having a great time, so what are you waiting for? At this price, you can treat yourself, your whole family, and your entire group of friends to an action-packed day out! Find the Tree Top Adventure and Aerial Cable Trail on their website here. We’ve sadly come to the end of our zip-lining, high-ropes climbing, canopy touring article, but we hope you’ve found some inspiration in our ideas and are ready to book your next sky-high adventure. As well as being fun family days out, outdoor activities also make unique and exciting experience gifts for loved ones, giving them the opportunity to enjoy nature and try something new. With such a great choice of locations and prices, there’s a tree-top experience suitable for everyone – so don’t hesitate! Find our full range of Canopy Tours and High Ropes experiences here and we hope to see you next time!